Joseph Schumpeter famously claimed that there is a ‘great gap’ of 500 years in the history of economic thought, from the Greeks to Thomas Aquinas. In this article, Professor Abdul Azim Islahi argues that this idea neglects some very serious scholarship which took place during those years within the Islamic world. Economic thinking has been associated with the very existence of man. But the written record available about economic thinking is not so old. Generally the historians of economic thought start with the Greek philosophers, Roman jurists and administrators and Indian scriptures. They also mention some of the early Christian fathers who lived in the first few centuries of Christian era. Then they just leap to the Middle Ages, when Europe came out from the darkness and fresh thinking on different natural and social sciences started, leaving a gap of many centuries. if Schumpeter was writing to start with the Babylonians albeit with only a brief reference, he surely should have been able to make some, even if limited reference to Indian (and presumably other Asian) sources as well 3 (quoted by Mark Perlman in his ‘Introduction’, 1997, p. XXIII). The long established tradition of considering a number of centuries as blank as regards to economic thought and the idea of ‘great gap’ seems to be grossly absurd and a blind spot in the subject. It is a matter of satisfaction that this missing link in the history of economic thought is now being traced and economic ideas of hitherto neglected scholars are being established. The period termed as ‘the great gap’ is the period of Muslim leadership over the world in politics, science and civilization and it is they who contributed in the field of economics, philosophy, medicine and the natural science. While their work in other branches of knowledge is openly acknowledged, their contribution in the area of economics is still ignored. I have discussed economic ideas of scores of Muslim scholars who belonged to the so called period of ‘the great gap’ in my forthcoming book History of Islamic Economic Thought. For example: Abu Yusuf’s (d. 798) analysis of various forms of taxation, al-Shaybani’s (d.805) emphasis on agriculture, Ibn Hazm (d.1063) on removal of poverty, al-Ghazali’s (d.1111) discussion on the difficulties of barter and his exposure of nature and functions of money and Ibn Taymiyah’s (d.1328) treatment of pricing mechanism and administrative fixation, to name but a few. It shows how Muslim scholars played an important role in continuity and growth of mainstream economics. When Greek works were translated into Arabic, Muslim scholars enhanced their utility by writing commentary over them and added their own views and interpretation. When re-translation activities from Arabic to Latin languages started, they transferred the whole stuff to the West which included their economic ideas as well. 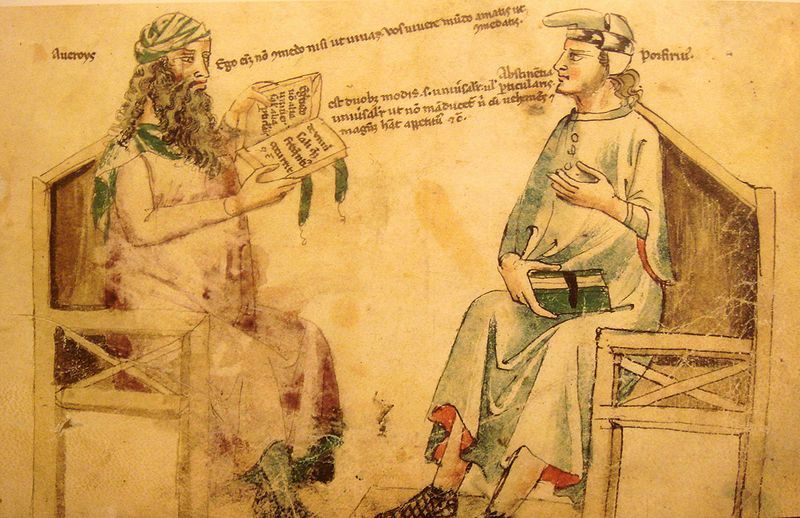 Not only translation, but their ideas reached the European West through a number of other channels, such as, education, oral transmission, travel accounts, trade, crusades, diplomatic missions, pilgrimages, etc. and influenced the scholastic scholars. The Muslims had practical experience of dealing with the economy and state, spread over many centuries. Their ideas bore pragmatic orientation. 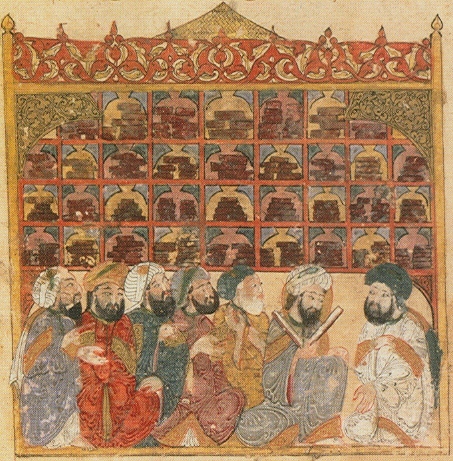 The scope and subject matter of their economic thinking was not confined only to want-satisfaction, economy of self-sufficient households, division of labor, barter and money; they discussed a host of other problems and developed several new ideas – an account of these major issues has been presented in the History of Islamic Economic Thought. As the Muslim scholars based their ideas on both the revealed knowledge and human reason, they were more suited to scholastic scholars who benefited from them to a great extent. This is clear from the gap which is found between their voluminous body of thought on economic matters and almost no contribution of this from their predecessors, who could not have access to the Arabian sources. Through the scholastic scholars, contribution of Muslim scholars became part, though yet to be recognized, of the family tree of economics. Schumpeter, Joseph A. (1997), History of Economic Analysis, London: Routledge. Knight, Frank H. (1955), “Review article on The History of Economic Analysis, by Joseph A. Schumpeter”, Southern Economic Journal, Vol. 21, pp. 261-72. Landreth, Harry and C. Colander David (2002), History of Economic Theory, 4th edition, Boston, M A, Houghton Mifflin. Perlman, Mark (1997), ‘Introduction’ to History of Economic Analysis by Schumpeter, Joseph A., London, Routledge. IAFIE (2000), Islamic Economics Bulletin, (Aligarh, India), Indian Association for Islamic Economics, November-December, 10: 6. Mirakhor, Abbas (1987), “Muslim Scholars and the History of Economics: A Need for Consideration”, American Journal of Islamic Social Sciences, 4 (2), 245-276. Ghazanfar, S.M. (ed. ), (2003), Medieval Islamic Economic Thought, London and New York, Routledge Curzon.